SPECIAL ANNOUNCEMENT: CHURCH BOYZ 4 HAS NOW BEEN RELEASED! In this riveting addition to the Church Boyz series, the men are again faced with profound challenges and will need to rely on God to deliver them out of the sudden destruction brought on by the women in their lives. Huge appreciation to you, my wonderful supporter. 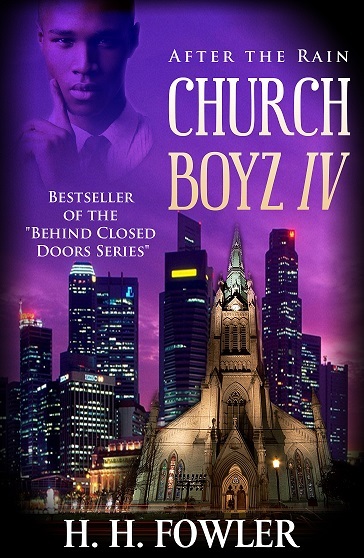 It’s been over two years since I decided to add another book to the Church Boyz’ Series. Because of the encouraging emails and outpouring of requests to continue the plot into the lives of Leroy, Dominic, Eric and whoever your favorite character might be, I pushed to get it done. My only hope is that you will enjoy reading book 4 as much I’d enjoyed writing it. Blessings to you!